Have you heard? If you haven’t, the Ethiopian Annual Tourney is going to be in DC this year. Bernos is going to be there! So make sure you find our booth. For our customer around the world, I am sorry we won’t get to meet you in person but as promised, you get 1st dibs on the reprinted shirts. We have by popular demand, conceded and brought you two of the most popular’ Ethiopian themed bernos tees. Ethiopian-Alien: The Traditional Ethiopian Scroll portrait is both a religious and cultural image which has represented Ethiopian for many generations. This iconic imagery has been and is currently in use in both commercial and fine art. This face has special meaning for those living outside of Ethiopia, because it has resemblance to the extra terrestrial face, which we happen to be while living as aliens. Ethiopian-Alien in gold available now for only $19.95. Desta Keremela: Desta is the brand name of a popular candy that was made in Ethiopia. Keremela means candy and Desta means happy. Desta Keremela is the first candy ever manufactured in Ethiopia. The bernos Desta Keremela tee is also available now for only $19.95. We think we got enough tees produced for everyone in all sizes, but we wanted to give you, our online customers 1st dibs before we sell them all out at the bernos soccer booth. 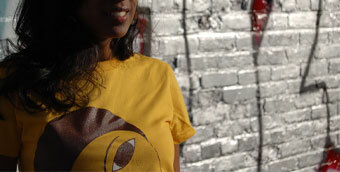 Last but not least, we do have a sale, a big $6 off on the Addis Ababa Classic tee. This one is dedicated to all recent college grads that are broke and jobless. For $16.95 which is less than 4 gallons of gas, less than 2 drinks at the club, you can have one of the few left. So get your tee now while it lasts. Published by Meron June 24th, 2008	in Bernos, Design and Social. Looks great you guys. Keep up the good work, we love bernos her in Florida. You guys are pretty big in the Abesha community. I am glad the old tees are back! Kelibe yemeneche thanks Askale, its a lot of work sometimes and encouraging words like your are always very appreciated… and needed. OMG! I finally came across this blog! I’ve been seeking this post for so long!! 5 Where To Sell Gold? I agree, selling gold has become very popular in this down economy. When the search engine spiders crawl your website, they’ll assign a number between zero and 10 to denote its relevance, making it easier for searchers to find what they’re looking for. is a crucial part of product development. Hi,I’ve been on herbalife from last three weeks. I am taking two shakes every day & eating a wholesome lunch. who want to get rid of such problems must have tried various anti-ageing products, but found no result. a subtle natural-looking result that doesn_t appear too overdone. Provided the Big Three can stay relatively healthy, the Heat have the potential to be unstoppable. I wish for to study creative script in university. Since in to become a novelist or probably screenplays. It doesnt actually material where as elongated as its an english speaking state. Anybody have one ideas of where would live best?. Chocolate has been consumed since as far back as the earliest recorded history. chemicals within it, and most importantly it has flavonoids. The clarity in your post is simply nice and i can think you’re a professional on this subject. date with imminent post. Thank you a million and please continue the rewarding work. Kudos for the inspiring website you’ve set up at bernos.com. Your enthusiastic take on the subject is absolutely inspiring. Thanks again!